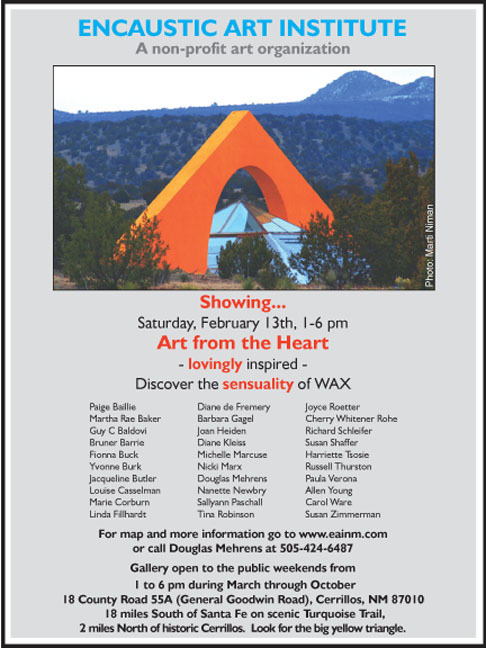 Martha will be showing two pieces from her recent “Alchemy Series” in the “Art from the Heart” exhibition at the Encaustic Art Institute of New Mexico ( www.eainm.com ), opening on February 13 from 1-6 p.m. Please visit the “News” page for more information and to view Martha’s paintings. Martha recently returned from ten days of painting at the Hill Country Arts Foundation ( www.hcaf.com ) in Ingram, TX. This is Martha’s fourth year to attend this annual January painting trip with 16 fellow artists. Working with metallic acrylic paint on 12″ x 12″ x 2″ cradled panels, Martha created abstract works by layering many thin applications of paint. 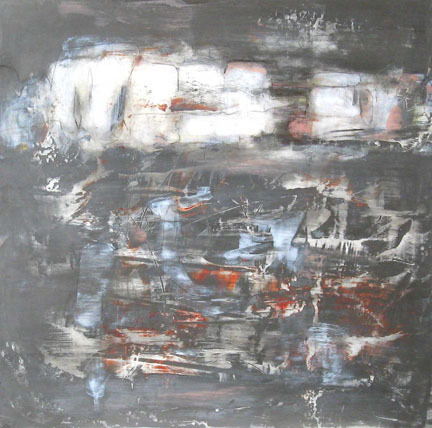 Although in a different media, the pieces are similar in style and content to Martha’s recent encaustics. Please visit the Acrylic Collage Gallery to view more of the Alchemy series.